Top 5 Indo-Chinese Dishes That We All Binge to Eat! Our country has a lot of cuisines to offer. Not just those which originated in our country, but also those that have been adapted and adopted and now are a part of our cuisine as well. Italian, Mexican, Chinese are few of the most common and most popular cuisines that most of the Indian like having every now and then for change in taste. But have you ever tried authentic Chinese, or authentic Italian? If you ever have, then you probably will understand what I am talking about. For others who haven’t yet tried them, trust me there is a very small chance that you will like it. When these cuisines entered our country, we people gave it a little Indian twist and that is how we have been having it over the years now. In my article today I am going to enlist 5 dishes that have been inspired by the Chinese cuisine. You might be surprised to see that you have been having these for years but have had absolutely no idea about their origin. Manchurian- Manchurian is not a Chinesedish. It was introduced in our country but the idea was taken from a Chinese cook book. You can have both chicken and vegetarian Manchurian according to your wish. Also, it is very easy to prepare. 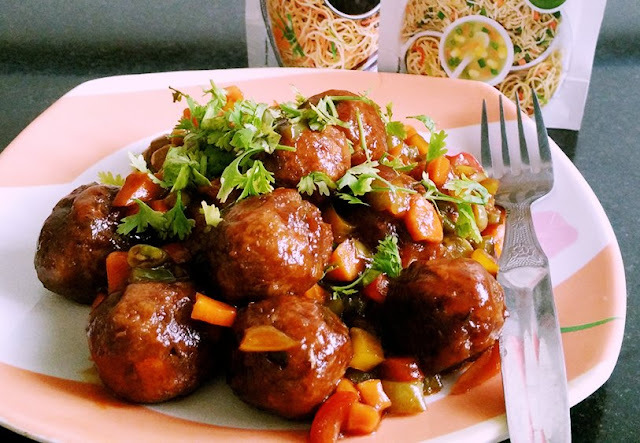 You can easily find the Manchurian recipe in Hindi or English and you could give it a try at your home. Paneer chilli- The idea of paneer chilli has been borrowed from the Chinese cuisine which is very similar to that of chicken chilli. This dish is very popular amongst vegetarians and as finger foods. It is very easy to make and one can try it out at home too. Baby corn chilli- This is yet another dish that falls into the Indo-Chinese category and is loved by vegetarians. The baby corns are pan fried and that keeps them crisp and tasty. This is the main reason why people just can’t get enough of this dish. Chowmein- Now this dish actually exists in the Chinese menu too. But then we Indian have given it our own little touch. In china, chowmein is very plain and has no spices whatsoever. But in India it is pan fried with sauces and mixed with spices that makes it really spicy and chilli hot. Manchow soup- Soups have seen its origination from china. But most of the soups that have come from china have a very mild taste and are very healthy unlike the machow soup. Now I don’t mean it is not healthy, it just is very spicy to be of the Chinese origin. This soup uses ginger, garlic, soy sauce and many other ingredients that make it very spicy. So, here was my list of the dishes that are not actually Chinese but are considered so in our country. How many of these dishes are one of your favourites and how many of them did you know aren’t exactly Chinese?